In 1922, our flagship product was bib overalls. Today, our #1 best-seller is work pants--specifically the Original 874®. 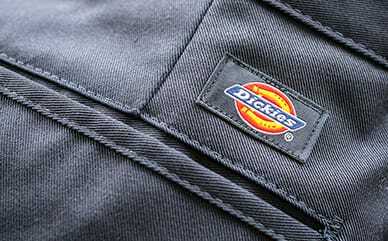 You'll find Dickies pants come in all fits, fabrics, and sizes--from slim and skinny to original and regular. Look for your favorites including cotton pants, as well as cotton/poly, insulated, flannel lined, cargo, carpenter, even double knee, high visibility and flame-resistant. While we call them work pants, we're frequently corrected. A lot of guys (like Bill of Orem, UT) also call them dress pants. "I wear different color Dickies pants for different uses. I wear gray for work, blue for grungy work about the house and yard, and black for Sunday best. I own no other pants than Dickies. Don't need them." Here's something else. Technology has changed everything. Every pair of Dickies KHAKI Pants is made from nine plastic bottles. These eco-friendly pants require less water when washing, less energy when drying, less room in landfills and less frequent replacement. How's it done? 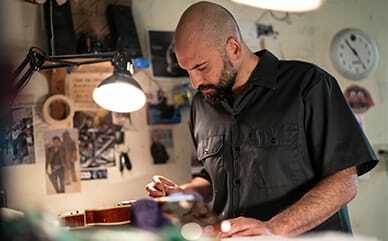 By partnering with Unifi maker of REPREVE®, we make Dickies KHAKI pants from recycled fiber containing post-industrial fiber waste and post-consumer plastic bottles. Yep, we're making the world a better place by turning trash into durable work pants.